Headington Flooring did an excellent job in restoring our dining room and hall floors. Great attention to detail with a creative and professional approach to dealing with what ever the job threw up: removal of concrete from original porch area, fitting new joists where needed and sourcing reclaimed pine to match the existing floor. Nothing floors Headington Flooring! Andy and Mike delivered a first-class service. They were full of helpful advice and very flexible from the outset. And they worked efficiently and with no upheaval or mess! Our sanded and sealed floors look superb - a big thank you! I'd have no hesitation in recommending them to others. Excellent from first enquiry to finished floor! They have completed work for us on 3 separate occasions and we couldn't be happier with the results, even overcoming unexpected hurdles. They definitely know their stuff and such competitive pricing too. Friendly and approachable, nothing seemed too much trouble. Couldn't recommend more highly. 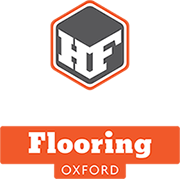 I have used Headington flooring on three separate occasions and each time have been extremely impressed with the speed and quality of their work. Very competitive prices, would highly recommend.